Thiruvananthapuram: Congress lawmaker Thiruvanchoor Radhakrishnan today carried a tear gas shell into the Kerala assembly, triggering anxiety and commotion in the house. Mr Radhakrishnan, a former home minister, said the shell was among those fired by the police last month at a crowd protesting the murder of Youth Congress worker Shuhaib. Showing the used shell to the Speaker, Mr Radhakrishnan said, "This is police raj. Even the grenades used by police to disperse youth protesters are beyond expiry dates". As lawmakers from the ruling Left front raised objections to Mr Radhakrishnan's act, Chief Minister Pinarayi Vijayan intervened. "Bringing such objects inside the assembly raises serious concerns and should instead be submitted to the Speaker" said Mr Vijayan, after which Mr Radhakrishnan, a former home minister, did so. "Usually such materials are not allowed inside the assembly. But he wanted to prove and validate his point strongly and that's why he carried the object with him. This expired grenade was used at the protesters demanding CBI probe into the killing of Shuhaib in Kannur", said opposition leader Ramesh Chennithala. 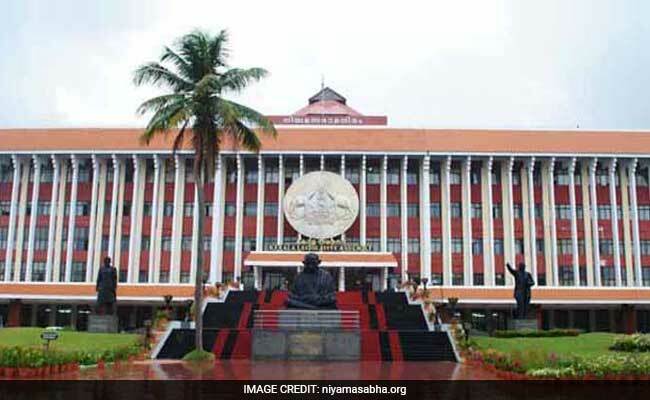 On February 26, police fired tear gas shells after protesters who had gathered outside the Kerala secretariat threw stones and bottles at the cops. The Youth Congress protest had turned violent hours after there was chaos in the assembly after the chief minister turned down the Congress demand for a CBI probe into the killing. The state police are impartial, Mr Vijayan had said. 30-year-old Shuhaib was killed on February 12. First, a country-made bomb was thrown at him, after which his body was slashed several times with sharp weapons. Six people have been arrested for the murder. Police say most of them are pro-CPM activists. Today, the Kerala high court ordered a CBI probe into the murder, hearing a petition filed by Shuhaib's parents.